I have LOADS of running tops from the likes of Primark, Matalan and Aldi but my absolute favourite is this Adidas that I bought from Sports Direct a couple of months ago. It's long enough to cover my bum so I don't have to worry about the wobble as I run! My capris were from Lidl - although I need to invest in a new pair since I fell at the start of the Mersey Tunnel 10k and scuffed them. My trainers have been with me for a year and will soon need replacing. They are lightweight New Balance that I got in the John Lewis sale - I ran with them for 10 months before I started using the orthopedic insoles. I love running with music, it helps me pace and allows me to forget about my breathing and run naturally. When I first started out my earphones were my biggest bugbear - constantly falling out of my ears and slowing me down. After a while I moved on to a cheap pair with ear cuffs but they didn't work either. I decided to ask the ladies in my RunMummyRun Facebook group and everyone was recommending the same brand - Yurbuds. Since my Yurbuds arrived I've never looked back. I pop them in my ears and forget them. You don't feel them, they don't move, they stay were they are meant to be- they are AMAZING! Next time you need new headphones (runner or not) I can highly recommend Yurbuds - and I do recommend them - ALL the time! 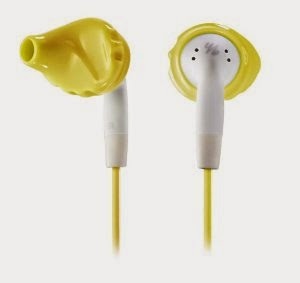 yurbuds sports earphones are designed to contour to the human ear so they never hurt and they never fall out. Designed by athletes for athletes, yurbuds provide premium sound quality, even while in motion. With exclusive TwistLock Technology - they never hurt, never fall out. Sweat and water resistant design FlexSoft comfort fit Ambient noise awareness Available in two ranges: Inspire for Women (pictured above) available in aqua, orange, yellow, green, pink and purple. Designed for women to fit smaller ears, two sizes in the box. Inspire Pro features a 3-button sweat and water resistant microphone that gives you full track, call, and volume control on your iPhone and iPod and a lifetime guarantee. About 6 weeks ago I was sent a pair of SOLE orthopaedic footbeds to trial. 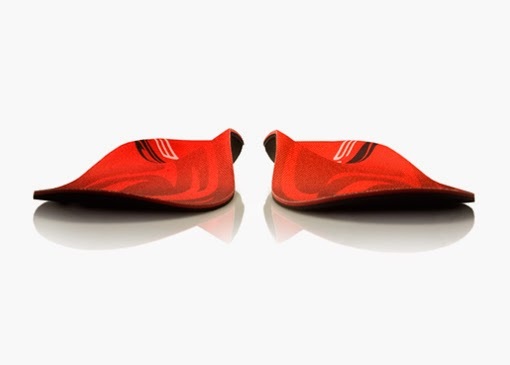 They basically mould to your feet and give you added support when you run. Until then I had always just ran with the standard trainer insoles. You basically pop them in the oven on a tray for a couple of minutes than pop them in your running shoes (once the existing soles have been taken out). You have to stand in them for a minute or so to allow the moulding to begin, then after that everytime you run you're shaping them to your natural stride. The first few runs felt a little odd and it felt like I was working new muscles in my legs but since then they've been great and I love the added support. One thing I did struggle with was socks - especially when I first got my trainers and again when I started running longer distances. Sometimes blisters can be inevitable on those occasions but with dual layer socks it's a lot less likely. I love the SOLE dual layers because they give you a lot of support for a sock and the two layers rub against each other rather than rubbing on your feet. I can definitely recommend these - I just wish they made them in brighter colours - and I'd love to see some compression socks from them too! SOLE Dual Layer Socks have two layers of blended Tactel, Coolmax and Lycra to reduce friction on the skin and prevent blisters from developing. They have a TensorFit arch band that ensures the socks stay in place and provide additional support. The seamless technology gives added comfort, the super soft materials wick away moisture and the mesh panels in the socks ensure feet stay cool and dry. Available in different lengths from www.yoursole.co.uk. If like me, falling over is part of your game then it's inevitable that from time to time you'll be out of action. A couple of weeks ago I fell at the start of my 10k, I still finished but afterwards my ankle swelled and it was quite sore. To be honest I was really skeptical that the ActiPatch would have any effect but I used it for a few nights and it reduced the swelling and pain very quickly. Chris has used it on his shoulder too and it's really helped - definitely a great thing to have in the house! You just attach the device where the pain is and turn it on. You can wear it overnight or all day long - and the best thing is it REALLY works! A bit about ActiPatch®:ActiPatch is a perfect solution for people, who suffer from any pain (especially after exercise) including sore muscles. ActiPatch® is an award-winning drug-free micro medical device which uses Electromagnetic Pulse Therapy to reduce pain and inflammation and accelerate healing. Its effectiveness has been clinically proven in eight medically published trials and has been shown to treat back and musculoskeletal pain on the body 5x better and 100% safer than over-the-counter drugs. So there you have it - my must-have kit. It won't stop there either - Ive just treated myself to a Garmin Forerunner 220. I'm just getting to grips with that and I'll post a little review on here too! Disclosure: I recieved the SOLE insoles and socks, the YurBuds and the ActiPatch to review for this post.